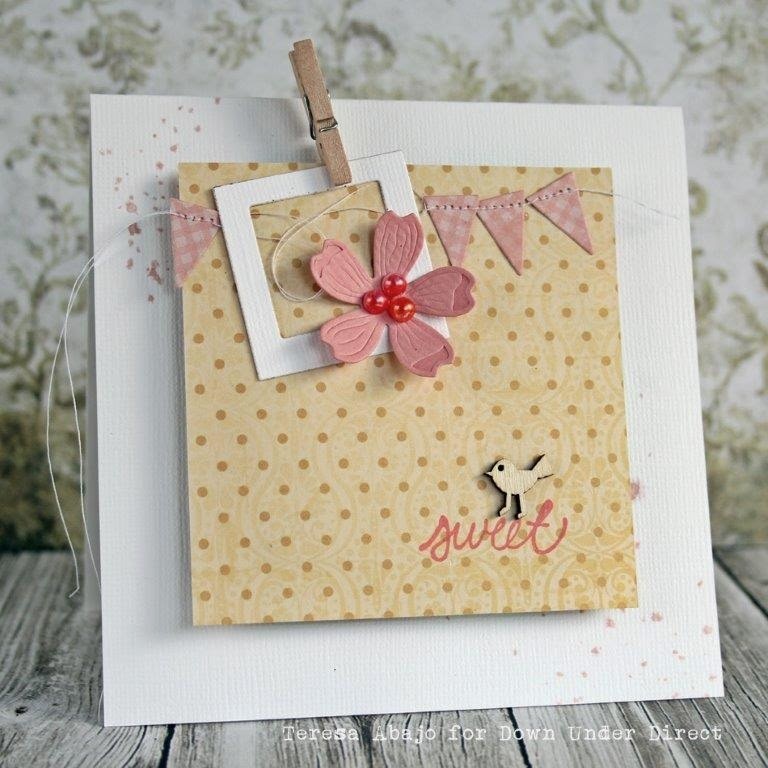 Today we have a pretty and colourful card to share with you. 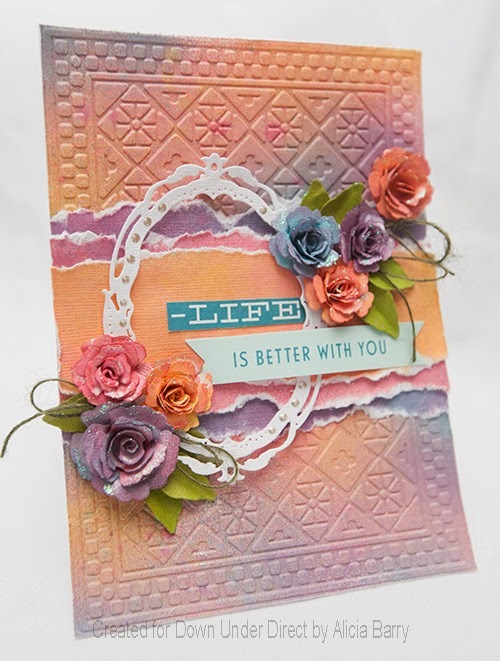 Smudges of watercolour crayon were added to the white cardstock to bring some of the background onto centre stage. 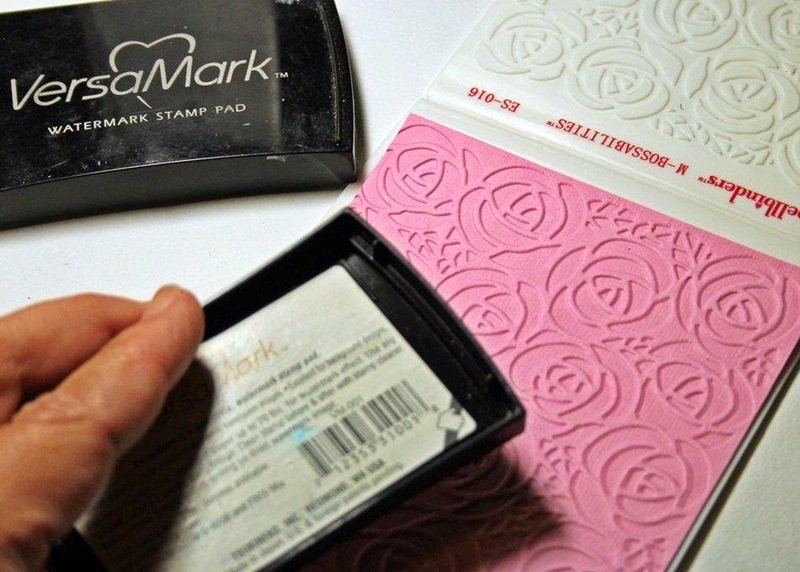 The writing was done with ink and a thin brush. 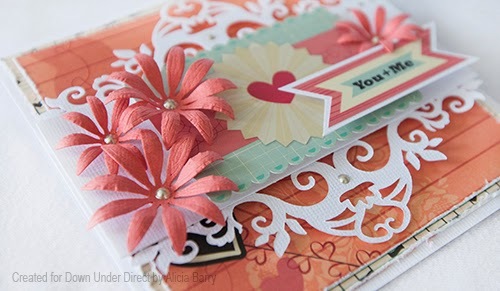 A clean and simple monochromatic card. 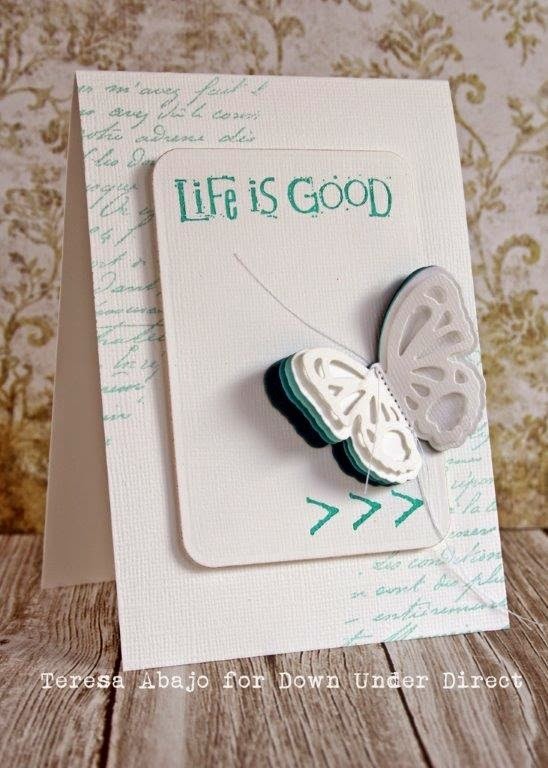 You can see just a hint of coloured cardstock under the butterfly's wings. 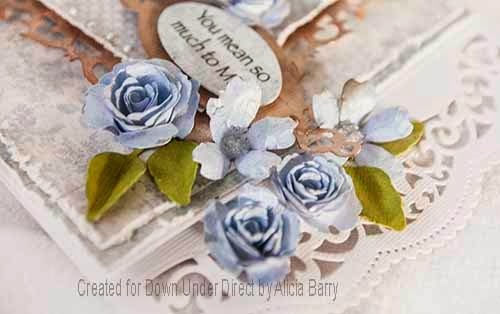 A pretty card in shades of blue. 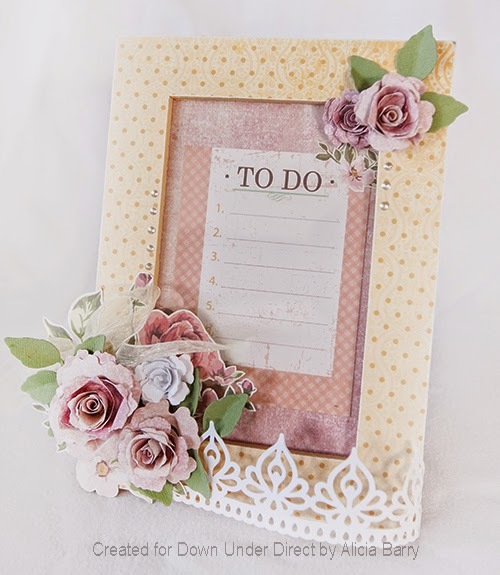 A sweet, simple girly card incorporating a mini polaroid frame made with square dies, and a mini banner made with triangle dies. 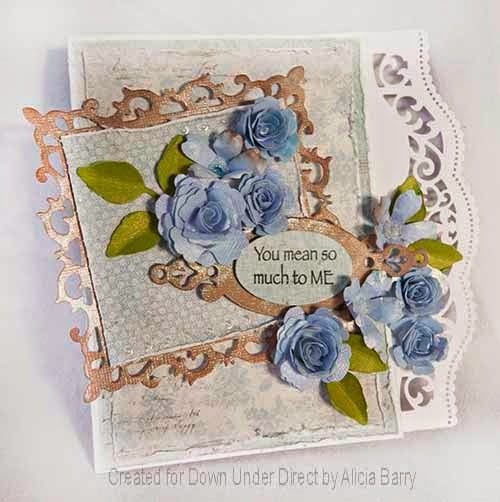 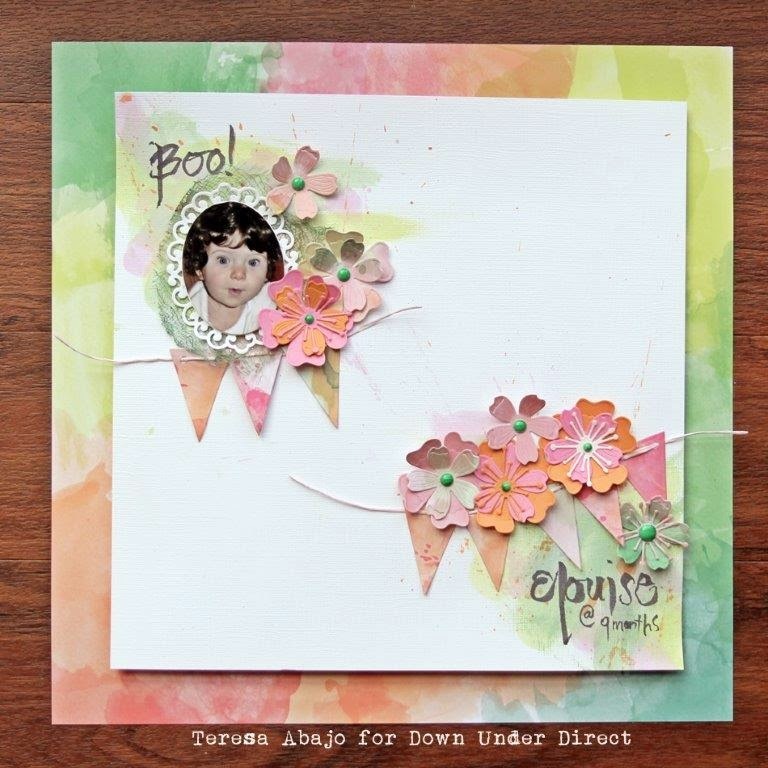 Here is another pretty card from Alicia. 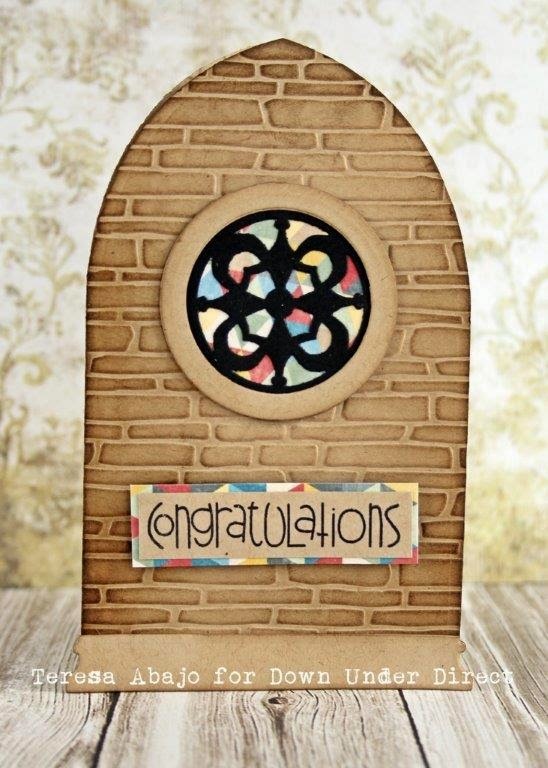 This is a shaped wedding card - complete with arched window, brick work and stained glass. 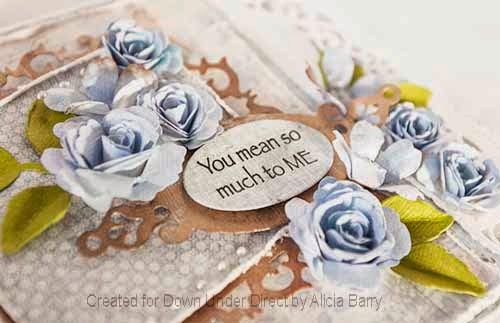 Here is a pretty love themed card from Alicia. 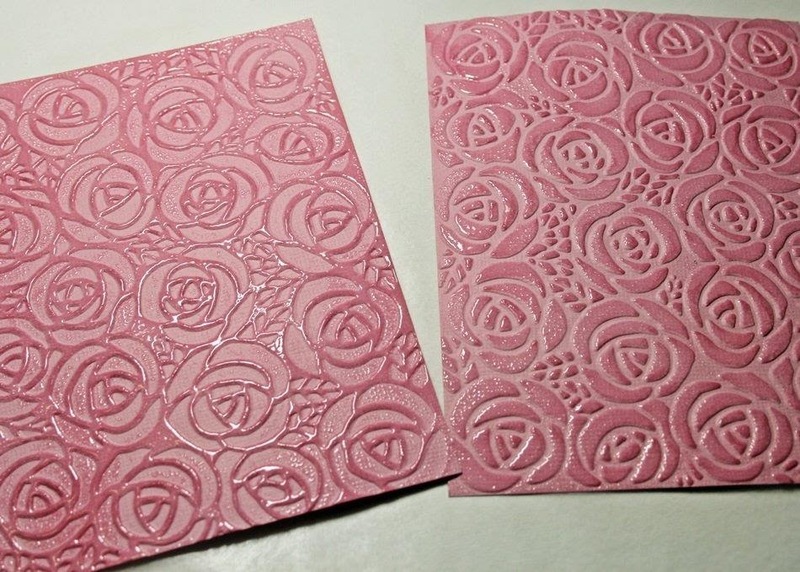 I needed some little notebooks that would fit inside my small handbag and thought I would decorate the covers with some embossed paper. 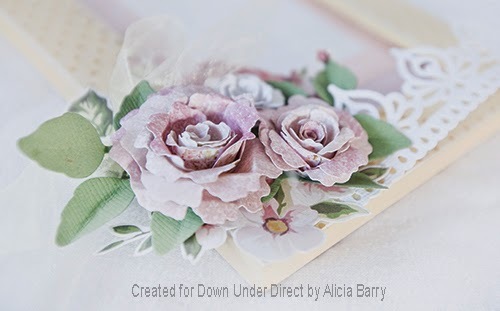 When the scraps of embossed paper I had weren't big enough, I decided to create my own. 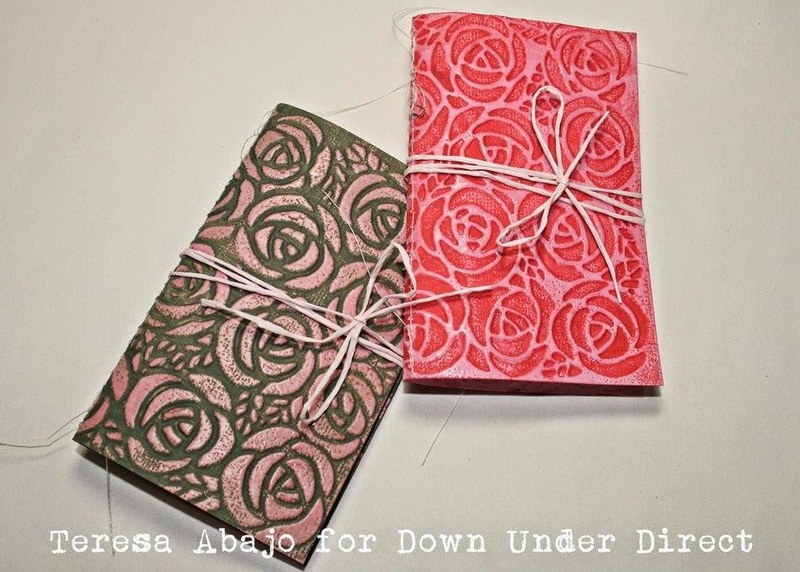 I have shown an example here of embossing (green) and debossing (red) - it gives a slightly different look. 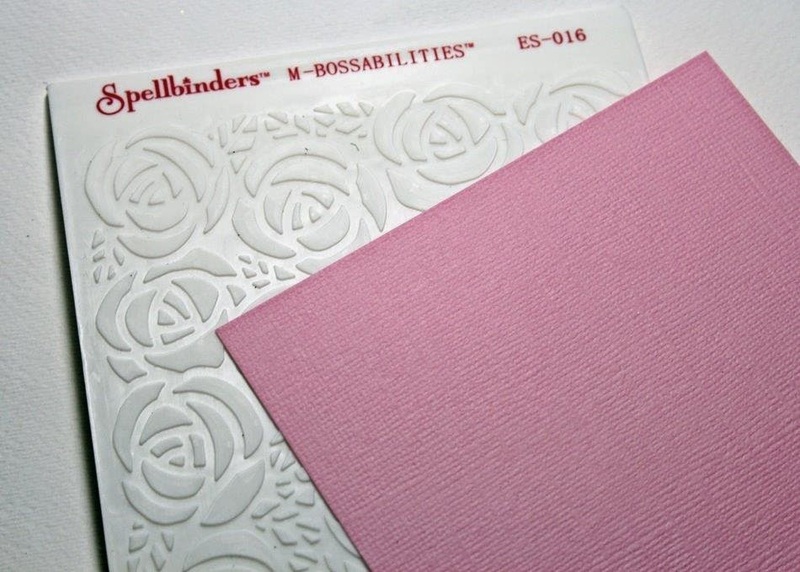 While the cardstock is still in place in the embossing folder, gently rub some Versamagic ink over the bumps created. 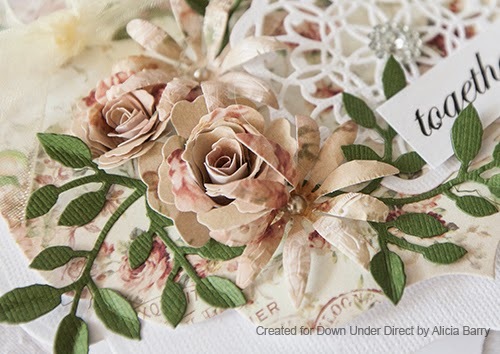 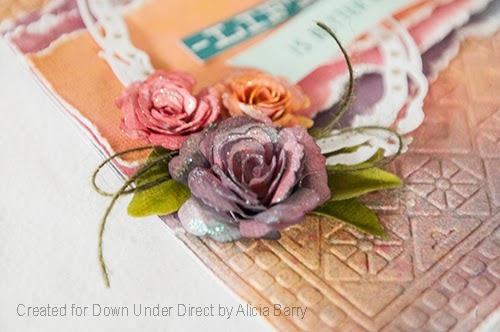 Sprinkle some clear embossing powder over the entire sheet and use a heat gun to melt. 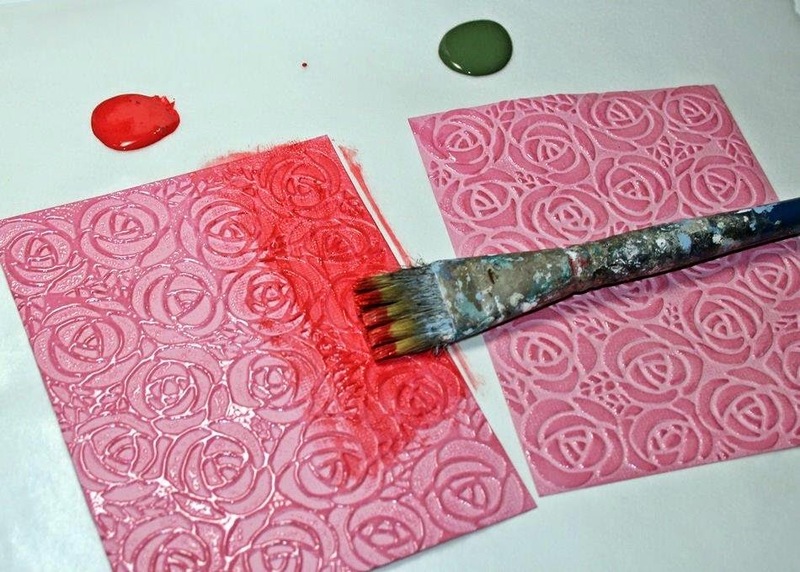 Paint over the whole sheet with some acrylic paint. 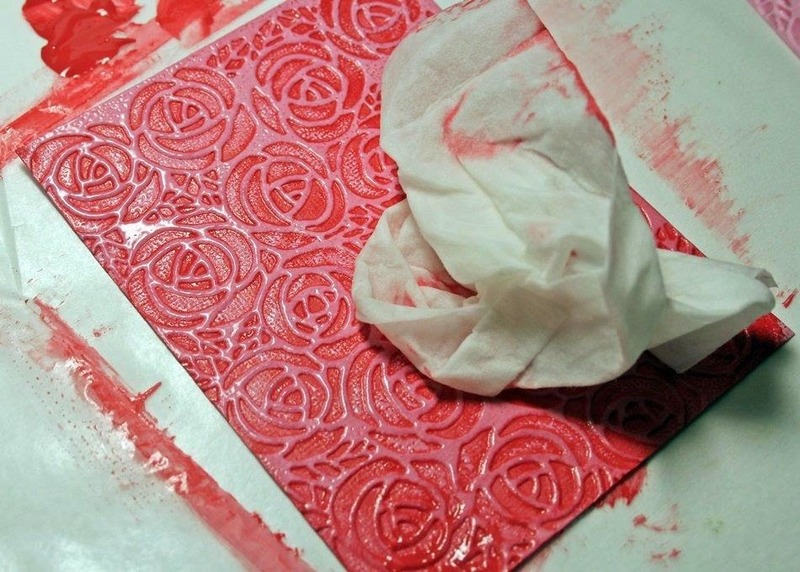 Use a baby wipe or wet cloth to wipe the acrylic paint off the embossed areas. 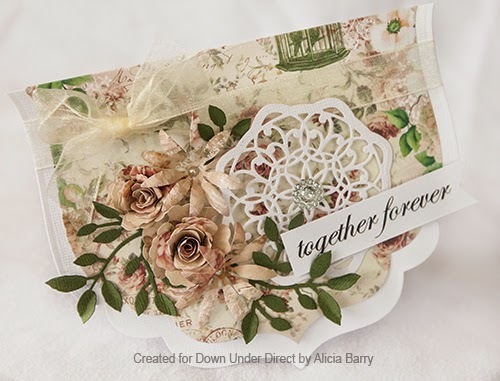 Cut several sheets of paper to size, centre them on the back of your embossed and painted cardstock, and sew right down the centre with a sewing machine. 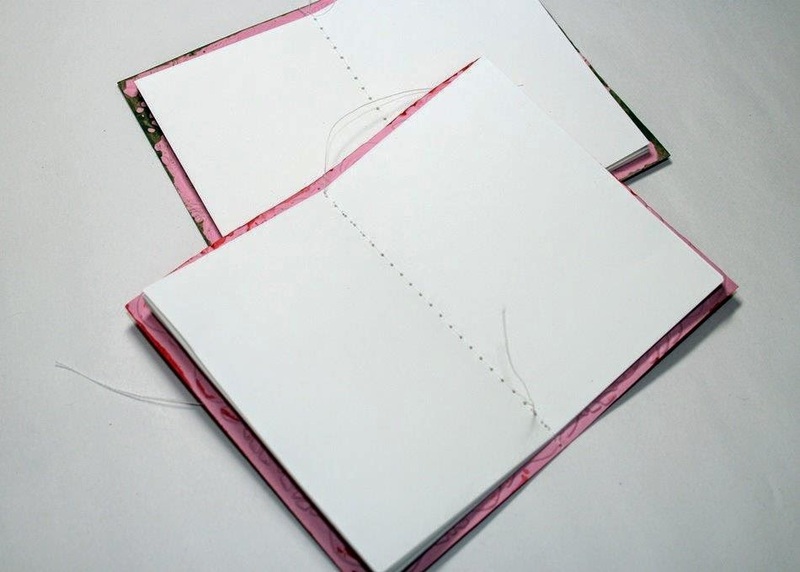 These little books will have a tendency to spring open for a while, so I have tied them with some twine to keep them closed.